I was introduced to the world of glass art while living in Eugene, Oregon in 1996. In the spring of 1997, I started selling glass for other glass artists as a way to afford to travel around the West Coast. Initially, my travels took me from Alaska to Southern California. I eventually made my way back to the East Coast where I spent a year concentrating on the glass market here, and in the Midwest. My friends finally convinced me to go back to Oregon to learn how to blow glass myself. My life as a glass artist began. In February of 1999, I bought my first torch. I worked two jobs to support myself while I learned the basics of my art. Within a year, I moved to North Carolina where I was able to support myself solely as a glass artist. I spent almost five years in North Carolina, soaking up the many artistic influences there. But, then in 2004, it was time to come home. In the years since I have returned to Buffalo, I have met and married my husband and have had two children. During my pregnancies, I took time off the torch to be with my children and began to explore the other interests in my life. I decided to get my certification to teach kids yoga, which I completed in the spring of 2013. In May of 2015, I also received my 200hr certification in Hatha Yoga from the Himalayan Institute of Buffalo. 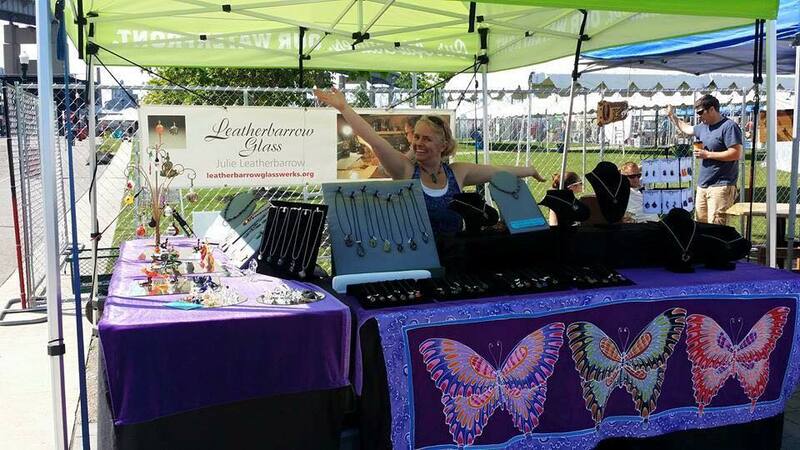 To see how my life as a glass artist crosses over with my life as a yoga instructor, please visit my Facebook page, https://www.facebook.com/BuffaloYogaforKids or check out my website, www.buddingtreeyoga.com. I currently live just outside of my hometown, Buffalo, NY, with my husband and three children. Settling down in Buffalo has presented some awesome opportunities for my glass business, as well as the local art community as a whole. 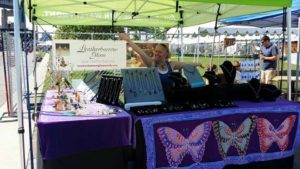 In the summer of 2012, I created and became the lead director of the Saturday Artisan Market (SAM), an all locally hand made art market that operates on the newly developed waterfront in Buffalo. SAM is the combination of my experiences of selling in different venues around the country with the local landscape. With over 30 artists and entertainers displaying their work twice a month throughout the summer and into the fall, SAM has a gypsy feel in a stable environment. It is a venture that I am most proud of. 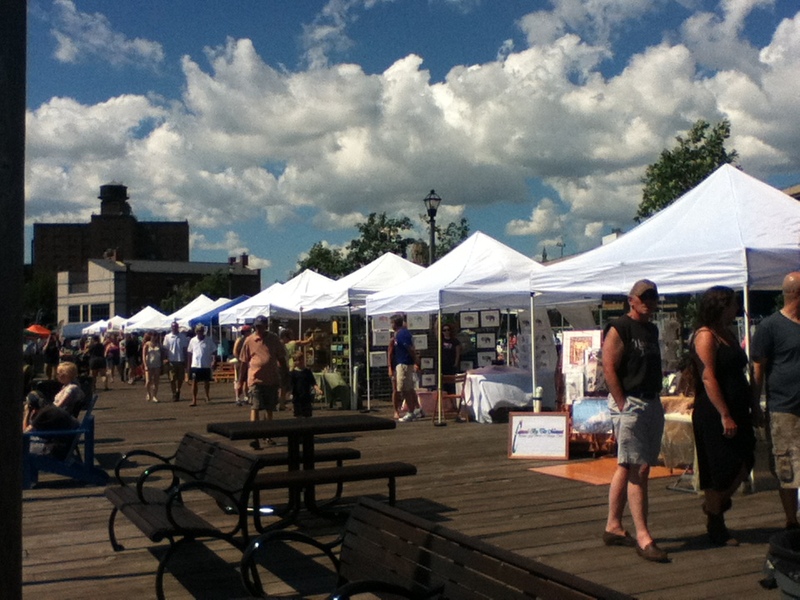 For more information about the Saturday Artisan Market, go to, www.buffalosaturdayartmarket.com, or go to the SAM Facebook page, https://www.facebook.com/BuffaloSAM.